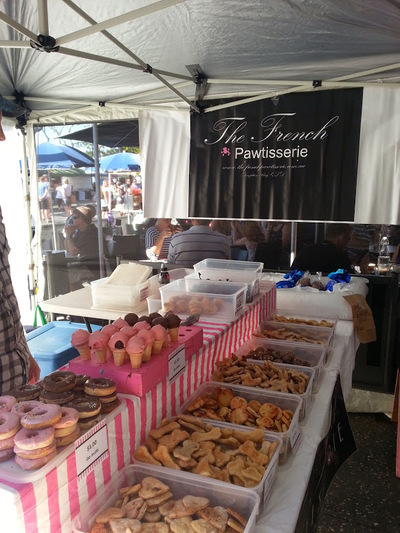 On Sunday mornings, if you venture down to the Redcliffe Jetty Markets with your four-legged furry friend, you will see The French Pawtisserie. 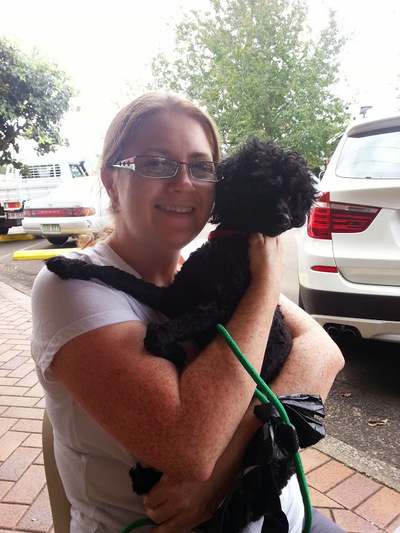 This little business for pooches is an absolute hit! Rocket, my black Toy Poodle loves their steak jerky which he insists he has for breakfast most days. As you can see from the photos, they have a great choice of dog treats for your best friend to enjoy. I have found that if I do not get down to the market early enough that the jerky, both chicken and beef have sold out. It is that popular with the dogs and their humans. 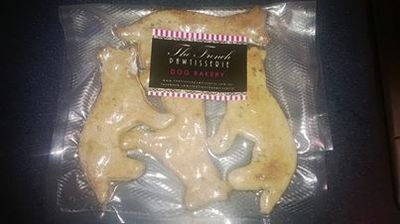 The French Pawtisserie has vacuum sealed dog treats for sale to. If you're interested in ordering some, contact them through their Facebook page. 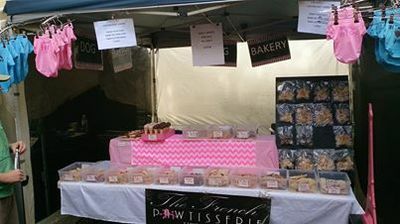 Anthony has been making these tasty doggy treats for years now and dogs cannot wait to get to the French Pawtisserie for their donut, cheesy stick, beef burgers and jerky. I have often watched people come up to the French Pawtisserie and wait patiently for their special treat. It's all extremely well priced. I pay 30 cents per piece of beef jerky for Rocket and he goes crazy for it. I'm excited to say that they now offer Doggy T-Shirts that you can have your own dog's name put on. They are available in pink and blue. 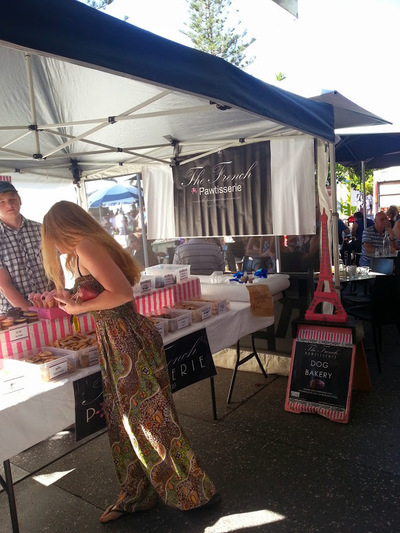 If you or your dog would like some time out at the one of the above mentioned markets, make sure you drop by the French Pawtisserie and pick up a special treat. What a good idea Selina...I think I have seen them and, from memory, they are quite expensive? Thanks for your comment and for reading the article. I don't consider them to be expensive, maybe it's perception, but I think they are reasonably priced.